The Belderbos Landscapes team has extensive experience in the design of beautiful gardens and stunning outside spaces. We deliver a bespoke garden design service tailored to your requirements, we invest as much time as is needed at the beginning of the design and planning process, to ensure you are happy with the project to ensure the construction phase runs smoothly. 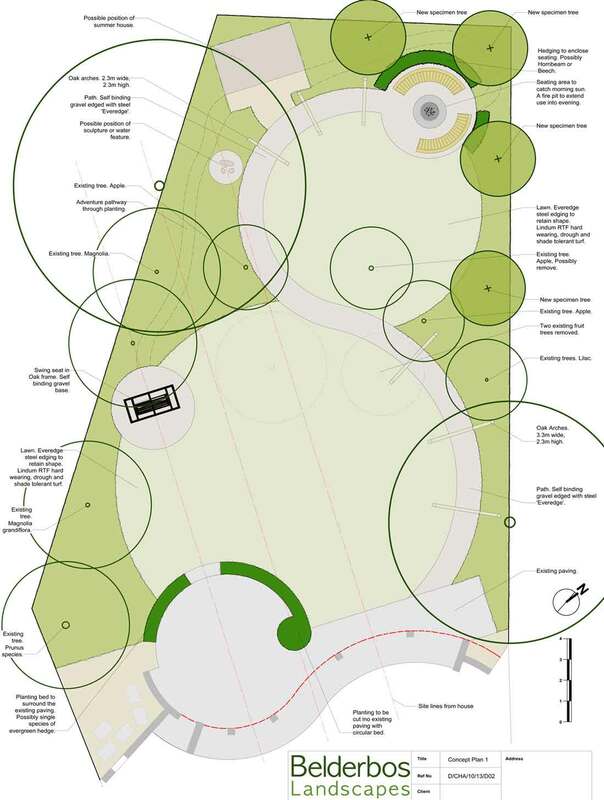 Using Computer Aided Design (CAD), with 3D visuals, our professional garden designers will bring your new outdoor design to life. We spend time discussing the different materials available to complement your design and helping you make informed decisions before construction begins. You can see some of our previous garden designs on our Garden Portfolio page. Please do contact us to discuss any potential garden designs projects.